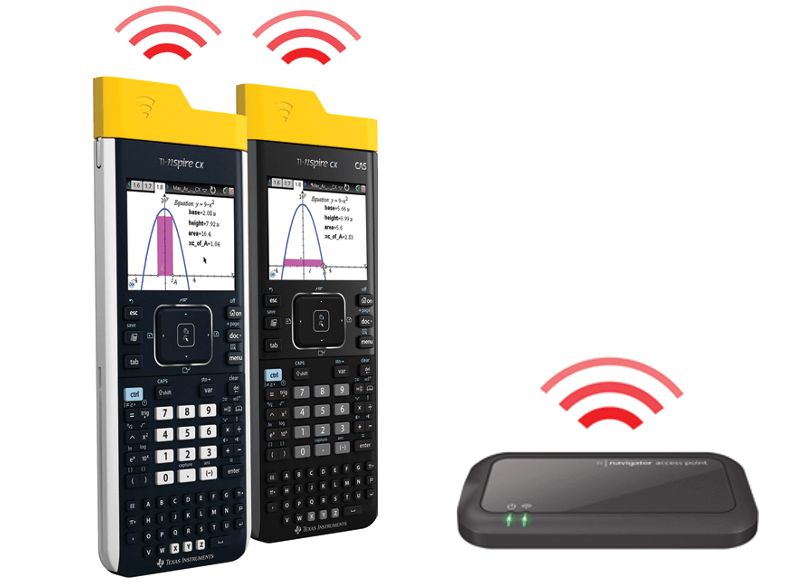 The TI-Nspire CX Navigator System is a completely wireless classroom network communication system for either the TI-Nspire CX or the TI-Nspire CX CAS handlhelds that maximizes popular graphing technology and increases the teacher’s ability to engage and assess student performance. Critical thinking: Two-way communication and feedback in the classroom allows educators a more detailed assessment of documents, how students are approaching problems and their process of learning the material. Completely wireless: Snap-on Wireless Network Adapters for student handhelds and a wireless access point for the teacher’s classroom computer transfer files to the whole class at once. Instant assessment: Educators can quickly gauge the understanding of individual students or the class. Individualized instruction: Based on the progress of different students, educators can adjust their instruction to meet individual needs. Flexibility: Through real-time student feedback, teachers can adjust their instruction or redirect a lesson as needed. Mobility: Students and educators can show the class work on their handheld from anywhere in the room using Live Presenter. Professional development programs and a variety of curricular materials are available on MathNspired.com and ScienceNspired.com to help educators easily adopt and implement the TI-Nspire CX Navigator System. Screen Capture feature gives educators an ability to capture screen shots of each student’s graphing calculator to monitor work. Quickly send TI-Nspire documents to students. For the System Requirements for the latest version of TI-Nspire Navigator Teacher Software for handhelds, visit education.ti.com/software/requirements.